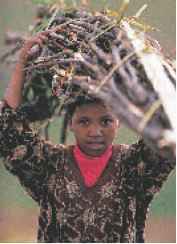 The disappearance of forests in some places on Earth has made firewood extremely difficult and expensive to obtain. People living in these regions often have to travel long distances or sell some of their food to get firewood. This can be a serious problem for people who may not have much food to begin with. Is there a way they could cook food without using firewood? How would you design and build a cooking device that uses the Sun's energy? 1. 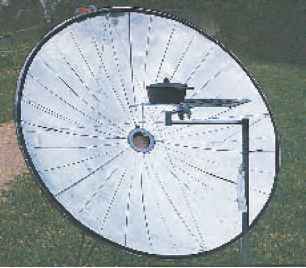 Design a solar cooker. 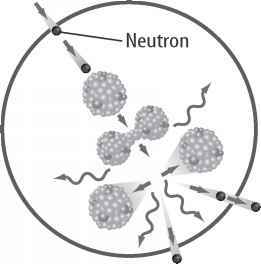 In your Science Journal, explain why you chose this design and draw a picture of it. 2. Write a summary explaining how you will measure the effectiveness of your solar cooker. What will you measure? How will you collect and organize your data? How will you present your results? 3. Compare your solar cooker design to those of other students. 4. Share your experimental plan with students in your class. Discuss the reasoning behind your plan. Be specific about what you intend to test and how you are going to test it. 5. Make sure your teacher approves your plan before you start working on your model. 6. Using all of the information you have gathered, construct a solar cooker that follows your design. 1. Test your design to determine how well it works. Try out a classmate's design. How do the two compare? 1. Combine the results for your entire class and decide which type of solar cooker was most effective. How could you design a more effective solar cooker, based on what you learned from this activity? 2. Infer Do you think your results might have been different if you tested your solar cooker on a different day? Explain. 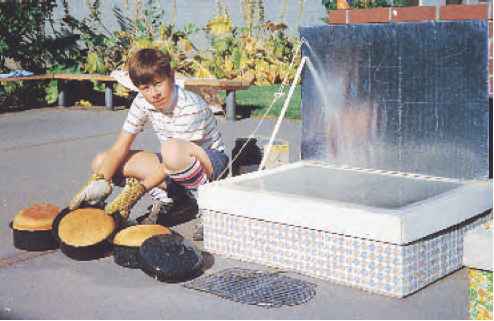 Why might a solar cooker be more useful in some regions of the world than in others? 1. Infer Based on what you've read and the results obtained by you and your classmates, do you think that your solar cooker could boil water? Explain. 2. Compare the amount of time needed to cook food with a solar cooker and with more traditional cooking methods. Assuming plenty of sunlight is available, would you prefer to use a solar cooker or a traditional oven? Explain.